Various diseases can damage native plants at all stages of growth. A description of some of the more important diseases is given here, together with general methods for control. Unfamiliar diseases should be reported to the Pest and Disease Information Service (PaDIS), as these diseases could cause significant problems for our primary industries and environment if they were to become established in Western Australia. Grey mould (Botrytis cinerea) may occur on the foliage of many native plants in still, humid or drizzly conditions. In Western Australia it is commonly observed on native plants of arid regions in the cooler months of autumn, winter and spring. 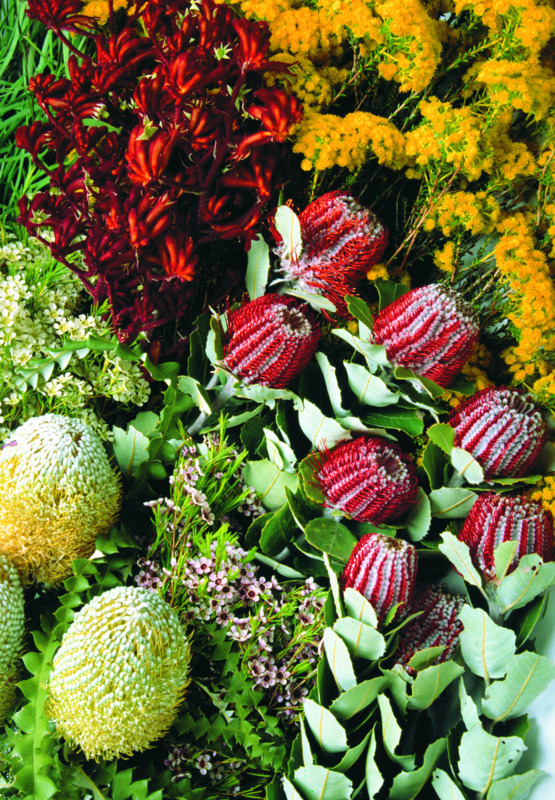 Solanums, Ptilotus, Sturt peas and boab trees may be affected as they are dormant in the cooler months. Attacks are worse on species with dense foliage or those with soft hairy leaves. Most grey mould infestations cause little damage unless there are long periods of suitable weather. Infection of developing flowers can also occur, which results in flower abortion. If plants are grown in well ventilated, sunny positions, both leaf and flower infection is usually not as severe as on plants in crowded, shady conditions. Grey mould can also be very damaging to seedlings and cuttings in glasshouses. Iprodione is registered for chemical control of botrytis and other fungal diseases on ornamentals in home gardens.